We go to great lengths to ensure that are products are of the highest quality, and that our customers are treated with the highest respect and courtesy. We also understand that in spite of these efforts, there are times when things go wrong. In some of these cases, you may be entitled to a refund or credit. 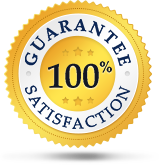 The purpose of this page is to explain our policies relating to our policies relating to our money back guarantee. Failure to meet these responsibilities will affect your ability to ask for a refund or credit. In the event that we fail to finish any work on or before the deadline date, you will be entitled to a full or partial refund, or a credit. If we miss the deadline by more than twenty four hours, you are automatically entitled to a full refund or the equivalent credit. If we are able to complete the paper in less than twenty four hours past the deadline, your refund or credit will be pro-rated. However, in the event that the missed deadline is due to your failure to respond to communications, upload materials, a change in the instructions that you initially provided, your delay in providing proof of identity for the purposes of processing your financial information, or your failure to maintain accurate contact information, we cannot offer a refund or credit. Also, if there is a delay in payment processing that results in a missed deadline, we are also unable to offer a refund or credit. While billing mistakes are rare, they do occasionally happen. If you believe that you have been billed in error, we will be happy to credit any over-payment back to your account. All we ask is that you submit proof, such as a bank or credit card statement, PayPal history or other documentation so that we can verify that the payment was indeed taken out of your account. This overage may also be applied to your customer account as a credit. If we believe that a billing issue has occurred as the result of fraud or identity theft, we will begin investigating that matter immediately. If need be, that investigation will involve informing legal authorities and any affected individuals or financial information. Every once in a while, we are unable to assign a writer to a project. If this happens, we will refund any amount that we have billed to you. In other (also rare) cases, a writer becomes ill or has a personal emergency that makes him or her unable to finish your project. If we are able to, we will have another writer complete the work. However, in some cases this is not possible. You will have the option of downloading the paper to complete on your own, along with a partial refund or credit, or we will simply refund your entire payment to you. This policy also applies to any revisions that we are unable to complete for you within a reasonable time line. In the event that we have provided you with a completed paper, we will not, as a general policy of Evoessay.com, issue a refund or a credit. However, we will be happy to perform any revisions required until the paper meets your standards. There are full details about our revision policy on our revision policy pages. If for any reason, we are unable to complete your revisions in a timely manner, we will provide a refund or a credit towards a future order. This does not apply if the requested revisions are due to a change in your initial instructions for us. Technical issues are beyond our control. Because of this, we do not extend our money back guarantee to include delays due to technical problems. However, in certain circumstances, as our way of maintaining positive customer relationships, we may, at our discretion, offer a discount towards a future order. While we want each and every one of our customers to receive high marks on the papers that we provide to them, we cannot guarantee that this will happen. Grading papers is a highly subjective task, and we have no way of knowing the expectations of your instructors. When you calculate your deadline date, please leave time for adding your own finishing touches to your paper, as you are the best qualified person for determining what your professor wants. If you truly believe that you are deserving of a credit or refund due to a poor grade, please submit the paper to us and include proof of the grade and any comments. We may, at our discretion offer a discount off of your next order. Because we have policies and procedures in place to insure that no plagiarized content is delivered to our customers, we have never encountered a situation in which an allegation of plagiarism was found to have any basis. If your paper is returned to you along with an accusation of plagiarism, we urge you to contact us immediately. We will investigate the issue thoroughly upon your notification, and your submission of the accusation along with a copy of the turnitin.com report. If there is merit to the accusation of plagiarism we will issue a full refund immediately, along with our apologies and a store credit to be used at your discretion.